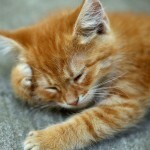 12 Ways to Pick the Perfect Cat Name - 600+ Names - For The Love of Cat! Sometimes you strike gold when the perfect name for your new cat just pops right into your mind. Most of the time, however, finding the right name requires patience, paying attention and a little luck. We know just how difficult this process can be, so For the Love of Cat has compiled this comprehensive guide on how to pick a cat name. You will find tips and creative strategies for choosing traditional and offbeat cat names along with more than 600 ideas for male and female cat names. Take your time choosing a name. You don’t have to commit to one right away. Pick your top three and then test them out for a week. Observe which name your cat responds to more, which one feels right rolling off your tongue and which one seems to suit the cat best. Avoid names that sound like other words often used in the house, such as commands or family member’s names. If you are totally stumped, then hold a cat-naming contest. Provide your friends, family or coworkers with a few details about your new furry friend, such as its coloring or personality, and let them offer some creative suggestions. When you just can’t decide, let fate make the final selection. Write down your top choices on individual pieces of paper. You can either blindly pull a name out of a bowl or put a treat on each paper and go with the name your kitty wanders over to first. ForTheLoveOfCat.com would love to hear your ideas for the best way to name a cat. What are your favorite methods on how to pick a cat name? What do you think are the best female and male cat names? Leave us a post in the comment section below! A cat’s coloring, fur patterns, markings, shape and size provide an endless array of ideas for cat names. This is the most traditional method for choosing male and female cat names. Another common strategy for how to pick a cat name is playing upon a beloved character trait. This strategy requires that you hold off on naming your new addition to the family until you get to know your cat. 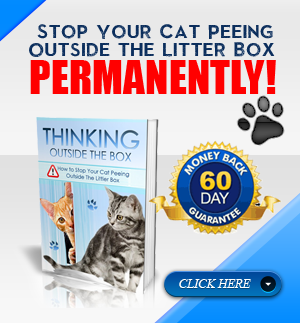 Spend a couple of weeks observing the cat’s behavior and personality. Perhaps he has a little sass and swagger, or maybe she is sweet as sugar or cute as a button? Since any name you choose for your cat is a reflection of you, pick a name that represents your passion, personality or life philosophy. Who is your favorite author, actor, singer, character or athlete? Think about the places where you have lived, visited or want to go. Whether you are a music fan or art connoisseur, a sports nut or lover of literature, the perfect name just might be on this list. Want to Communicate with Your Cat? While some cat breeds have a greater ability to communicate with the humans in their family, every cat is capable of learning its name. The key to name recognition is making it short and distinct. Cats tend to respond better to names that have one or two syllables and contain hard consonants, such as k, p, d and t, and the long “ee” sound. From felina to kissa to tabby, cats are known by many names around the world. When you want something a little more exotic than Kitty, try out one of these feline-inspired words. Celebrate your culture by picking a name that reflects where you come from. Which traditions make you feel most connected to your family history? Do you have a favorite place where your family spent time making memories or a distant relative who you can memorialize? Elements from your cat’s culture can also provide inspiration. The ancient deity Akil is a perfect name for an Egyptian Mau while Sarabi is cute for a Siamese cat. Many ancient and modern cultures believe that cats are bearers of good luck. Cats have been associated with powers to bring good harvests, prevent natural disasters and bless a family with happiness and fortune. Even if you aren’t the superstitious type, it was a lucky day when your pet came into your life, so consider this list of auspicious names from languages around the world. Whether you have adopted a kitten or a fully grown cat, it is almost always a good idea to give your feline friend a new name. It not only serves as a symbolic welcome to the family but also helps with training the cat to obey your commands, especially if the former name was associated with negative memories. When choosing a new name, think about how the two of you came together, such as when and where the cat was found. You can also pay tribute to the journey that your cat has survived by choosing a name that means wanderer or survivor, or pick a name that represents the gift you have been given. Cats are more than pets. They become companions, friends and members of the family. You come to love your cat just as deeply as the other people in your life. 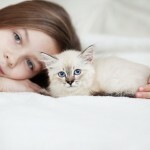 It is fitting then to give your cat a human name, which pets experts say increases the human-animal bond. 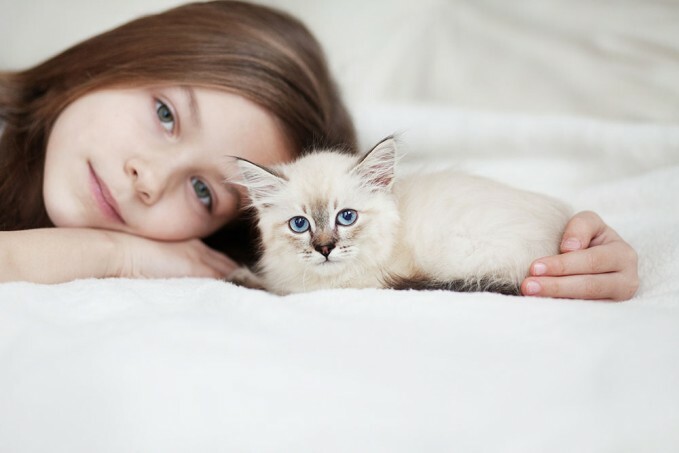 Nearly 70 percent of trending baby names appear on popular cat names lists, and vintage names are also common. Hollywood, literature and even YouTube are ripe with creative female and male cat names. Consider choosing one of these names from the entertainment industry’s most famous cats. From the history pages to the silver screen, there are cat lovers everywhere. Here are some of the most creative and kooky names that the world’s most famous celebrities have given to their cats. What are some of the strangest cat names you have ever heard? Help build our list by adding your favorite names in the comments section below! Cat Diarrhea: What To Do and What Causes It?11 Reasons Russian Blue Cats are awesome. 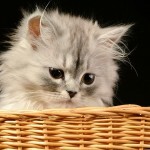 These are funny, cute, and smart cats and kittens! Great additions! I love your kittens’ names! Thanks.